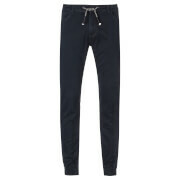 Men’s ‘Western’ sweatpants from Tokyo Laundry. 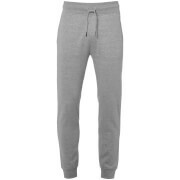 Crafted from a soft cotton blend with a luxurious fleece lining, the light grey joggers feature a drawstring tie, pockets at the front and back and elasticated trims at the waist and cuffs. Contrasting blue accents at the waist and embroidered branding to the left thigh complete the design.